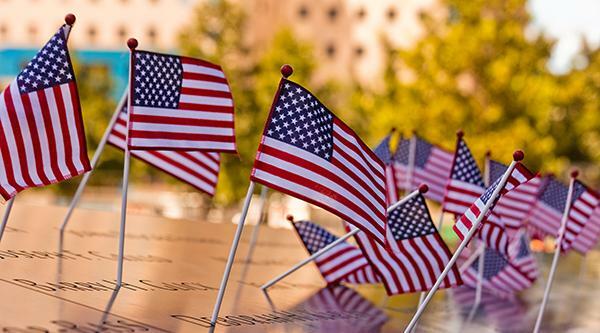 Since 2001, individuals and organizations have responded to 9/11 with service and volunteer efforts, many supporting the philanthropic wishes and interests of those killed on 9/11. In 2009, this work was formally acknowledged and supported with the establishment of the September 11 National Day of Service and Remembrance. There are numerous ways to participate in the annual commemoration and one of the most powerful is performing acts of service in your communities in remembrance of the victims of 9/11. When you choose to commemorate the anniversary of 9/11, you are playing an important part in memorializing those who were killed, honoring the sacrifices of the first responders, and remembering the spirit of unity that emerged in the aftermath of 9/11. Volunteer at Meals on Wheels of Syracuse by calling 315.478.5948 or emailing Volunteer@Meals.org. However you choose to commemorate this anniversary, thank you for joining us as we take a day to remember and honor.